I agree that RtI & CCSS is in your plan. 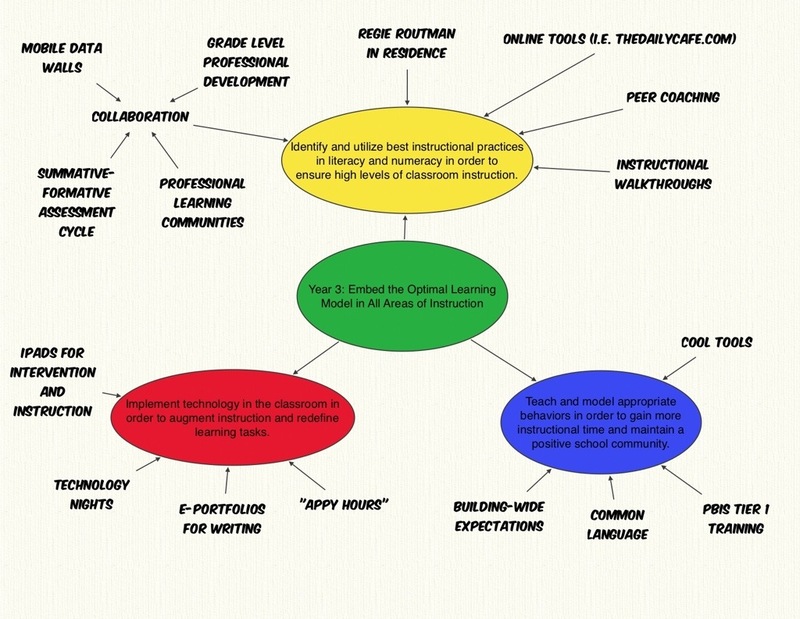 Im intrigued by the iPad infusion in instruction & intervention. We are implementing them this year and I’d being interested to see what that looks like. What apps will be used? I like your ‘Appy Days’. We have ‘Techie Tuesdays’. Is there a way our schools could collaborate on both of our plans? My campus is in the same place that yours is and I think collaboration from TX to MN (right?) would be pretty cool. FaceTime would be a great collaborative tool. Just a thought. I think that would be fun, John, thanks for the offer. When I have the dates for our “Appy Hours” I will give you a heads up. Previous Previous post: Should Twitter Replace Professional Development?